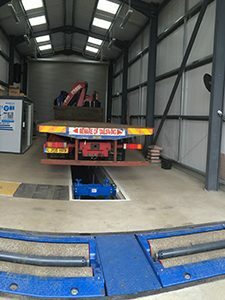 Our fully equipped 5 bay workshop in Stow Bridge, near King’s Lynn/Downham Market is open 6 days a week, Monday to Friday 7am to 12 midnight, plus Saturday morning. We have the latest vehicle diagnostics equipment, which can communicate with all makes of vehicles. We offer air conditioning servicing and re-gassing, brake testing and tail lift servicing/LOLER certifications. Our workshop services include but are not limited to inspections to VOSA standards and services to manufacturers recommendations; we carry out general repairs and maintenance, as well as accident damage repairs. Our fabricators can carry out all types of welding, including aluminium welding, and have lots of experience with chassis modifications and body repairs. We operate a staffing shift system which means that our customers benefit from getting their vehicles serviced in their down-time. Our technicians, who already have many years experience in repairing all makes of vehicles, receive on-going training to keep them up to date, with our apprentices attending Manchester College which specialises in commercial vehicle repairs. 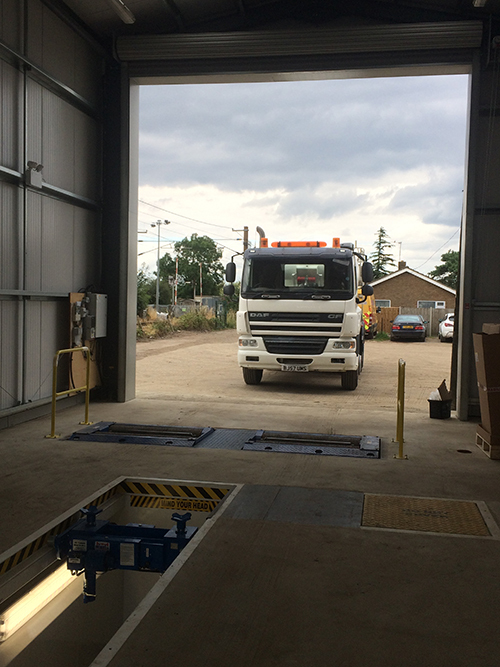 R B Trucks can offer a collection and delivery service, and we can also keep track on when our customers vehicles are due an inspection, and liaise with them to get the vehicle into the workshop, which gives our customers more time to get on with running their business. We also offer maintenance and service contracts helping our customers to budget their vehicle costs, and we have a good range of fast moving spare parts. Correct brake testing allows the technician to calculate the performance of the brakes and diagnose faults in the braking system. This means that our technicians can efficiently pin-point potential faults in the braking system which may otherwise go un-detected. We recommend a brake test with every inspection; this is something that VOSA also like to see. 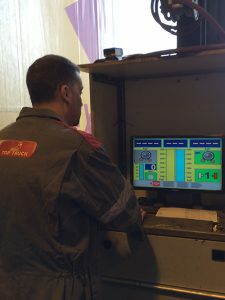 LOLER states that if you operate a Tail lift for work use it should be strong and stable enough for the particular use, and marked to indicate safe working loads. 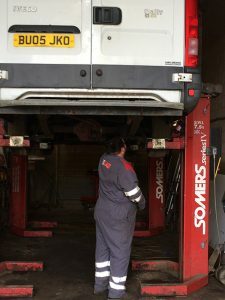 To ensure this LOLER expects tail lifts to have a Statutory Thorough Examination (STE) or LOLER examination every 6 months, during which a competent person carries out a detailed examination of the tail lift components to ensure that the tail lift is safe for continued use. It is a legal requirement that you have a current report of thorough examination for your tail lift and it is also recommended by manufacturers that an annual weight test is carried out. We have several technicians who have been trained and have several years experience in tail lift examinations. They are also experienced in carrying out repairs using our stock of tail lift spare parts. Now and then tail lifts breakdown when in use. 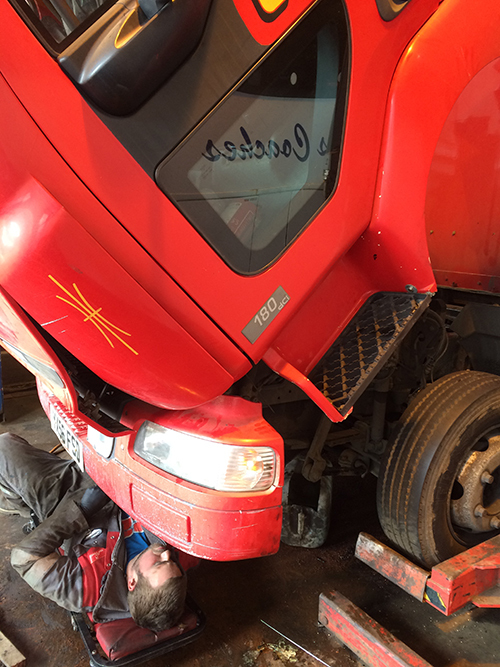 Our technicians have the knowledge and equipment to carry out essential repairs to get your tail lift working again. R B Trucks offer a full vehicle air conditioning system service. Air conditioning is a great system to have in the summer, but also creates dry air if used in the winter. One of the benefits of this is demisting a windscreen more quickly. Over time a truck will lose some of its air conditioning gas which means that the system is not working to its full potential. Apart from being less effective, air conditioning systems that are not fully recharged have to work harder, putting more strain on the vehicle engine and using more fuel. Our technicians can carry out an air conditioning service, air conditioning regas/recharge, and leak testing and fault diagnosis.